After making a bunch of 4th of July shenanigans, I had a bunch of leftover red, white, and blue sugary ingredients, so I decided to make up my own shenanigan. 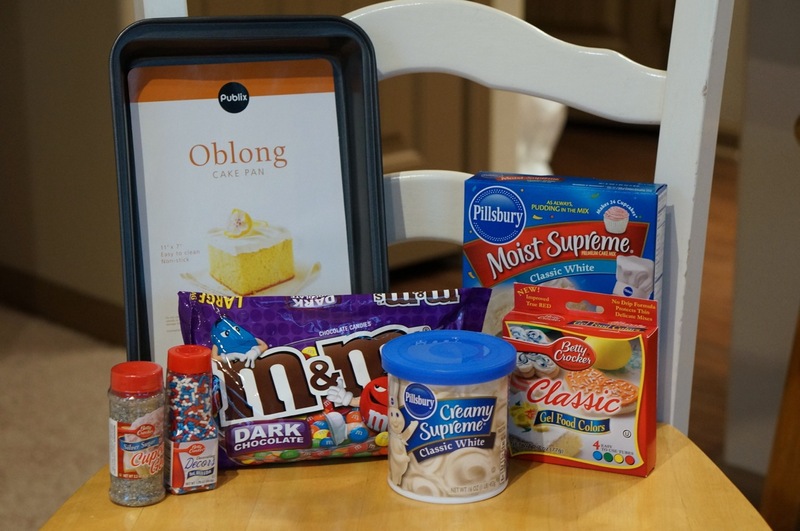 I used the following ingredients to make an m&m flag cake with a red, white, and blue layered cake inside. This is a super easy 4th of July Cake option that will still impress your friends and add to any festive spread. 1) Divide the batter into three bowls (since I was using a cake pan that what equivalent to half of a cake, I halved the batter and then split it in 3 bowls). 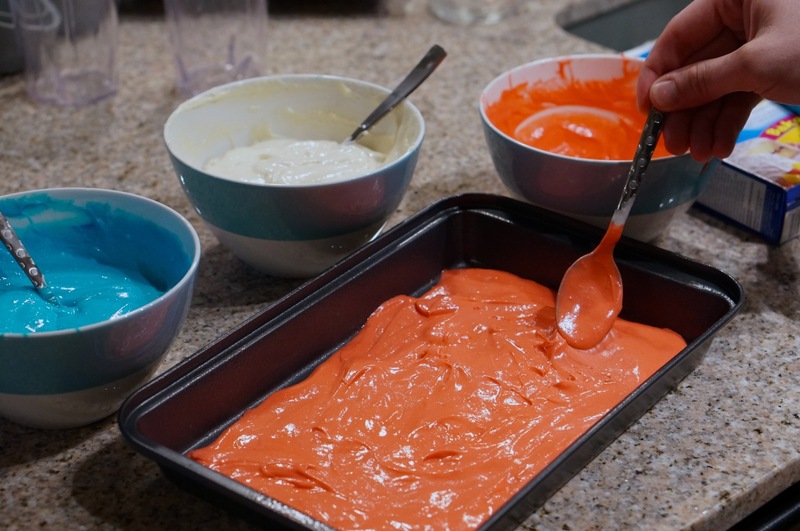 Add red and blue food coloring until the color is where you want it. 2) Grease pan and add layer of red. 3) Then add layer of white. It works best if you blob it over the red layer, then spread it. 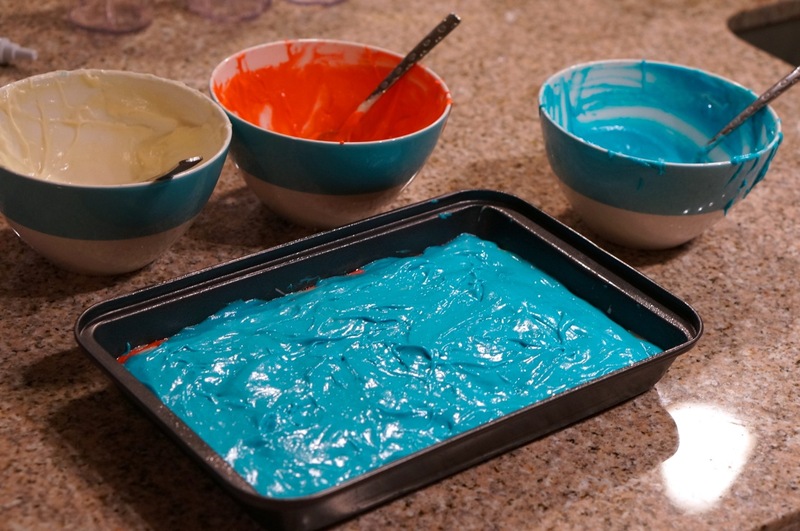 4) And finally add your layer of blue batter. 5) Bake according to box. 6) Let cool and place on plate and add white icing. Then place your m and ms. 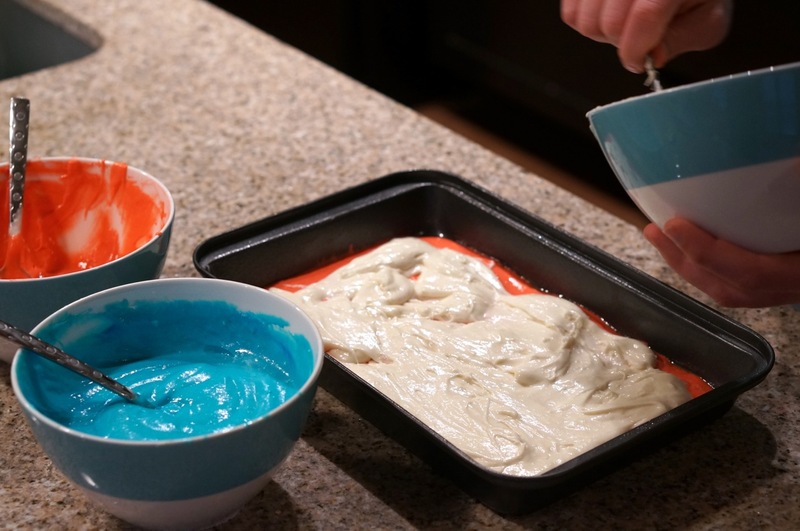 This easy Fourth of July cake is perfect for a party or barbecue, and it is also great if you have little ones that want to help you prepare your Fourth of July feast. 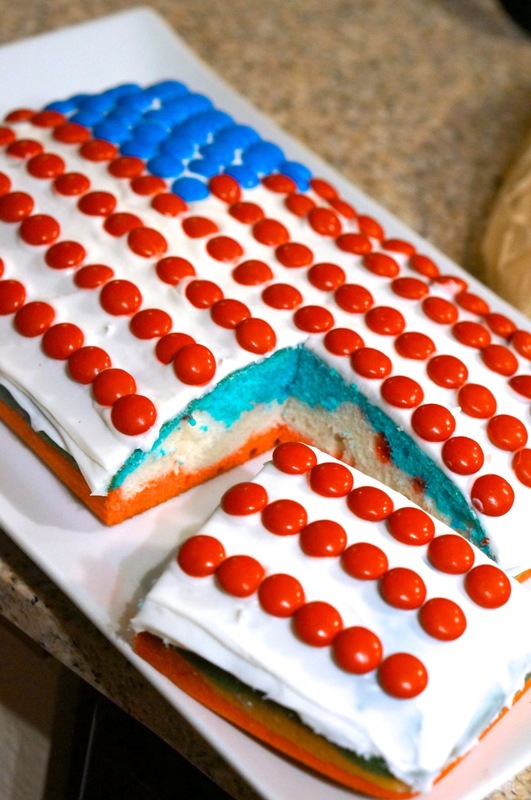 If you are looking for something a little more challenging, check out my epic american flag cake (click the picture below to see how I made it)! This is a GREAT one for the holiday! !